Don’t faint or anything, but this month I managed TWO books. 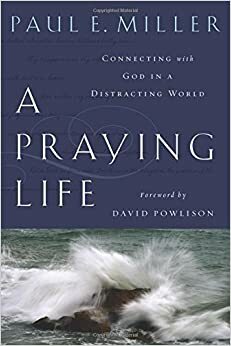 When my brother, one of the most quietly radical Christians I know, said that A Praying Life had revolutionized his prayer life, I determined to read it. I started it two years ago, got seven chapters in and lost interest. It seemed a bit predictable and repetitive. But I always vowed to take it up again – and, very quickly, it became brilliant. 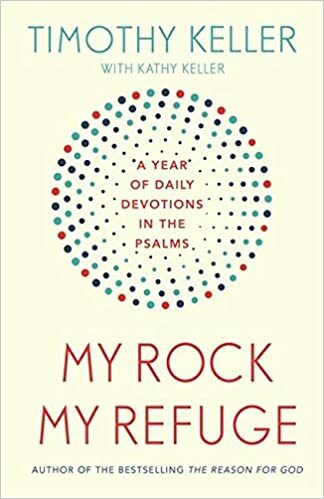 Paul E. Miller is so insightful, with lots of original things to say about everything from anxiety to cynicism to suffering – all whilst encouraging us to develop (or rediscover) a childlike dependence on God. Seriously, every Christian should read this book. Then, a little late to the party, I read The Curious Incident of the Dog in the Night-Time, something I’d been meaning to read since Gordon Brown was at no.10. (Remember him?) It was just as wonderful as I’d expected, and took no time at all to finish. After my February ‘What I’m into’ post (which now seems to have vanished – I blame the kiddoes…), where I bemoaned my limited vegetarian vocabulary, my veggie friend Hannah pointed me to her very helpful blog, which contains recipes, meal plans and tips on cooking for vegetarians and vegans. I’ve found it helpful not only for taking recipes as written, but for reminding me what can be done without meat – for example, veggie fajitas, which are so yummy and child-friendly. I took this recipe and adapted it, adding in a few bits we needed to finish up, and baking the rolled fajitas in tomato sauce with a liberal helping of grated cheese on top. Everyone wolfed it down – this happens very rarely in a household where half of the residents change their food likes and dislikes on an hourly basis. This vegan jambalaya went down well, especially the Quorn sausage. Does anyone else feel like they’re cheating when they use Quorn though? The veggie star of the month was Mushrooms Cacciatore, which I served with rigatoni. The lingering cooking time, the veg and the wine, all combined to make a really rich, flavoursome sauce for the pasta – and, most importantly for meat-eaters, we didn’t miss the meat! I was intrigued by a GP friend going on a High Fat, Low Carbs diet experiment – you can read his blog here. I’ve been aware for a while that processed carbs are not the best, and our dependence on them could lead to some serious health issues in later life – but I was intrigued by the High Fat part. This website explains more. The recipes looked fun, and we got round to trying the Chicken and Coconut Curry, which we served with Cauliflower Rice instead of the usual white rice, and the Hamburger Patties in a Creamy Tomato Sauce, which was served with a huge pile of buttery fried cabbage instead of a bun. I felt properly full after each of these meals – although I understand from my friend that following this diet to the letter will result in some carb-cravings. I also bought a spiralizer this month, so am looking forward to trying courgetti, squashini and all sorts of other veg-based fillers…more in the April edition of ‘What I’m into’! Not exactly an ‘article’, but Jen Wilkin’s incredible talk on raising a child to stand out rather than fit in just blew my mind this month. So much practical guidance in here, without any sense of judgement or weariness. I strongly recommend this for any Christian parent – it’s around an hour long. I also enjoyed this article from the Guardian on a couple who adopted out of choice rather than necessity. And, in a month where World Book Day had many parents (me included) reaching for the wine whilst simultaneously trying to hide under a rock, you can’t beat Hurrah for Gin’s hilarious commentary. …and I’ve discovered that the chord that makes Carole King’s ‘Up on the roof’ so wonderful (a 2nd inversion major 7th, if you were asking) can also be inserted into ‘The Splendour of the King’ for a rather nice, slow-but-powerful end to a worship set! Oh my goodness, is there anything better than Carole King and James Taylor combining their wonderful musical talents? I love how Taylor looks like he’s wandered in after a spot of gardening. Oh look, I even picked up a guitar myself this month. Pic taken by one of the minions, mid-singing, hence dodgy expression. We had a rare Whole Evening Without Other Agendas at some point during March, so decided to watch Fargo – it was engaging enough, but I didn’t feel it lived up to its synopsis, with characters under-developed and plot-line not intricate enough to grip us. Once again, we failed to buy a sofa. (This is a saga which has lasted two years now, and counting.) We moved the old one out, moved a ‘new’ (second-hand) one in, moved the ‘new’ (second-hand) one out, and then moved the old one back in. The Hokey Cokey has nothing on us. We had a fun weekend with the grandparents, including a visit to a safari park and a fantastic imaginative play centre. And we also had a visit from some old friends we hadn’t seen in years. My two wonderful Japanese friends came round and prepared the most incredible sushi feast for us and our kids. Shhhh, don’t tell them….it’s the only reason I make friends with Japanese ladies! Oh, and I used my PTA perk of a Booker card to stockpile Creme Eggs, my absolute favourite chocolate! How has your March been? Linking up with Leigh Kramer’s blog – go check it out! Any particular reason for changing from marg to butter? Must read A Praying Life. If I understood what a 2nd inversion major 7th was, I could incorporate it into “The Splendour of the King” which we have here on a regular basis! We loved the Carole King and James Taylor combination song – great! Keep up the good work. The above was not written by desertmum but by desertmum’smum!